Hurray!!!! Evening swimming is now available for working class professionals that live on the mainland. 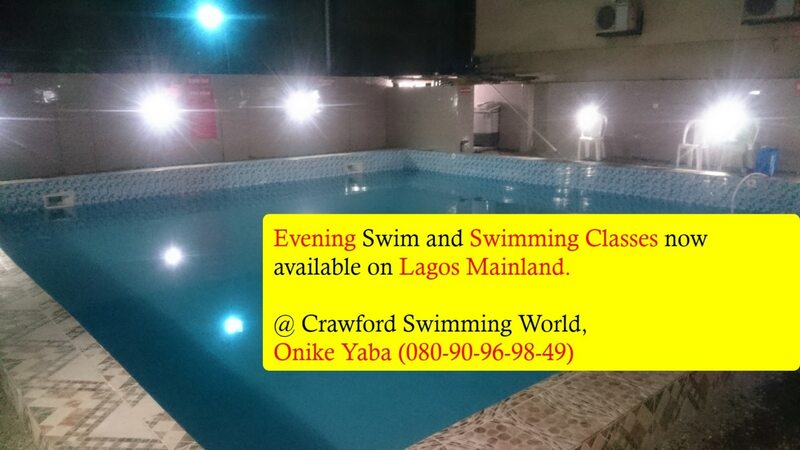 From 2nd January, 2016 Crawford Swimming Pool in Onike Yaba will be open for evening swimming session for Adult only. The evening session will be from 5pm till 9pm (Monday – Friday). This is to enable parents and working persons learn to swim and exercise after work. Swimming is the only lifesaving sport that exist. It helps with weightloss and strengthen heart health. Swimming is the only exercise you engage in without sweating. Contact Tayo on 08090969849 to book a space ahead. 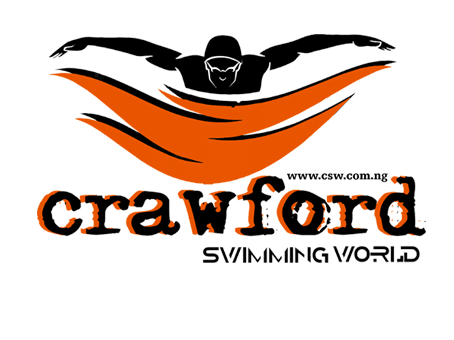 Crawford Swimming World Nigeria Limited is swimming school based in Lagos and Abuja, Nigeria. The school was setup to fulfil swim programming needs in Nigeria for adult and children. To run an exclusively hygienic indoor commercial swimming pool providing group and private swim classes for adult and children in Yaba area of Lagos State. Contact Tayo on 080 90 96 98 49 to book a space ahead.